A geological fold occurs when one or a stack of originally flat and planar surfaces, such as sedimentary strata, are bent or curved as a result of permanent deformation. 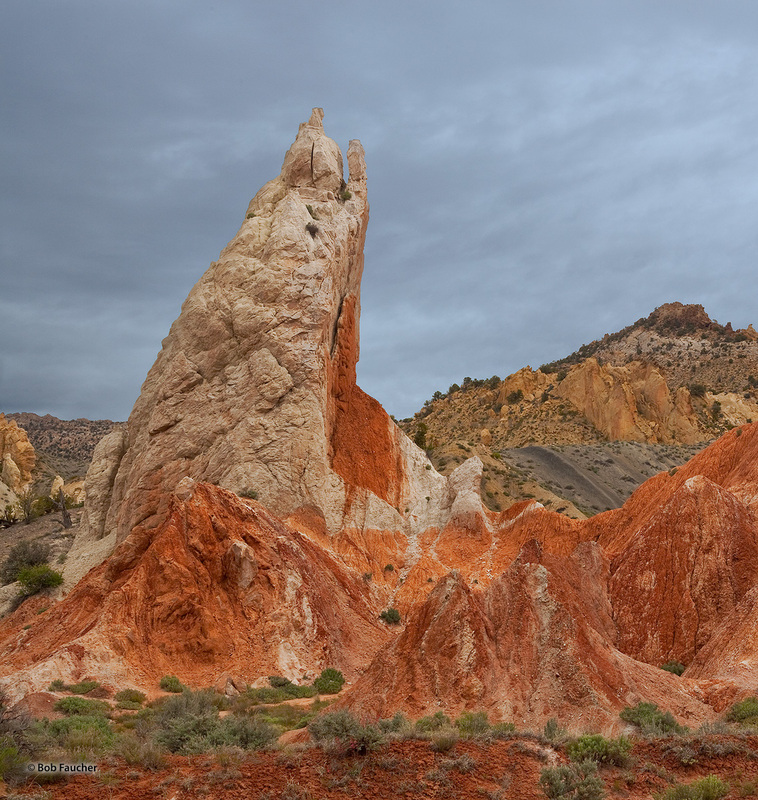 Colorful Carmel and Entrada Formations opposed in the Cockscomb along the Cottonwood Canyon. Along this particular stretch of the road called the Squeeze, the rocks are mostly vertical and highly contorted. It is locally called "Candyland" for the bright colors, especially red and white. Photo © copyright by Robert Faucher.